Valeo has released a number of clutch kits that were originally self-adjusting (SAT) but have been redesigned as high efficiency (HEC) clutches. 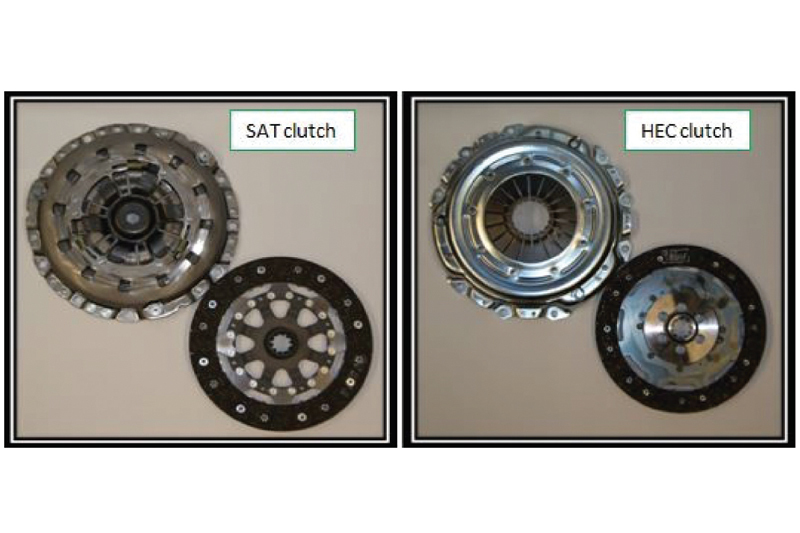 This bulletin has been produced to explain the operation of an HEC clutch and the advantages compared to SAT clutches. An SAT clutch is designed to maintain a constant pedal height and consistent pedal operating load as the friction material is worn away, ensuring driver comfort is maintained. It achieves this by using a ratchet system to move the pressure plate as the friction material on the drive plate is worn. On a standard clutch cover assembly there is an operating window where the diaphragm fingers are working within ideal conditions about an arc, and the clutch kit will be set up to take advantage of this. However, when the friction material on the drive plate wears by a certain amount, the cover assembly falls outside of the ideal window, making it progressively harder to press the clutch pedal and causing a change in the clutch activation point. An HEC clutch looks similar to a standard type clutch where there is no self-adjusting system incorporated into the clutch cover, but the friction material used is a high performance design with low wear rate properties. 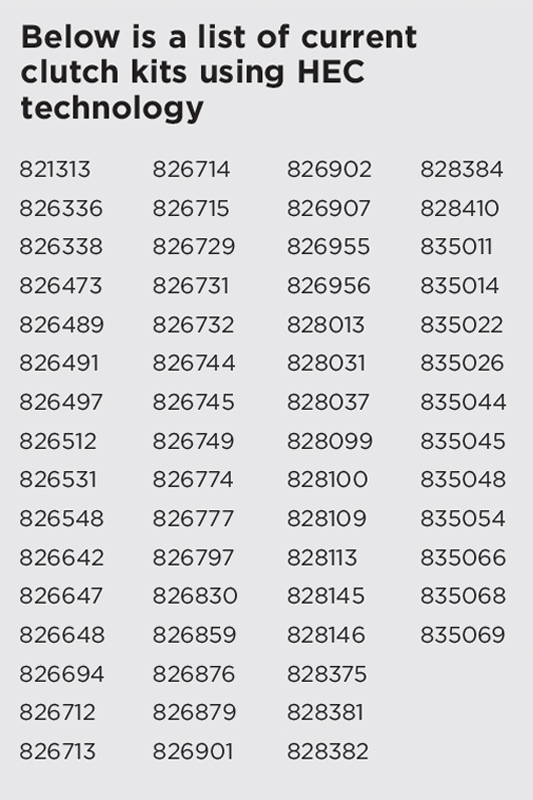 This means that the clutch cover assembly will be working within the ideal operating window for longer and will offer the same lifetime performance as an SAT clutch. The advantage of the low wear material used in an HEC clutch is that the clutch will have a longer life, but it may suffer from a progressively heavier pedal action. Another advantage that an HEC clutch offers compared to an SAT clutch is the fact that there are no special tools needed to fit the kit, and there is no possibility of prematurely activating the SAT ratchet mechanism, reducing the lifespan of the component. Previous : More Time or More Money?